Lobo's portable device platform provides results in under an hour, and can be deployed in medical clinics, dispensaries, pharmacies or retail outlets. With applications across the recreational, medical and clinical space, Lobo is bringing the science of cannabis genetics to everyone. The number of new and existing cannabis users worldwide is growing rapidly. Medical and recreational legalization is poised to expose millions of new users to cannabis for the first time. Your response to THC and CBD. While cannabis has many potential therapeutic applications, your genetic makeup can influence how you respond to cannabis. Genetics affects the speed at which your body metabolizes THC and CBD. It can also affect your predisposition to short and long term side effects. The world's smallest genetic testing device. Results in under an hour. 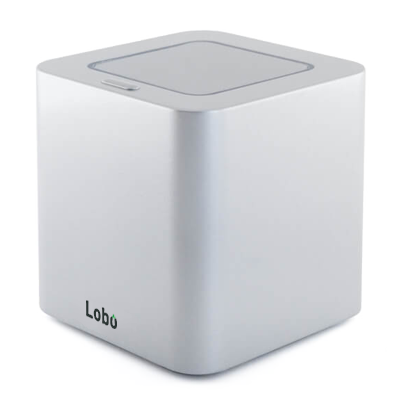 Lobo's Cube platform is a revolutionary portable device that fits in the palm of your hand. It enables on-site DNA testing at any location including clinics, dispensaries or pharmacies. No need to wait days to weeks with a central lab — customers can now get results on demand.